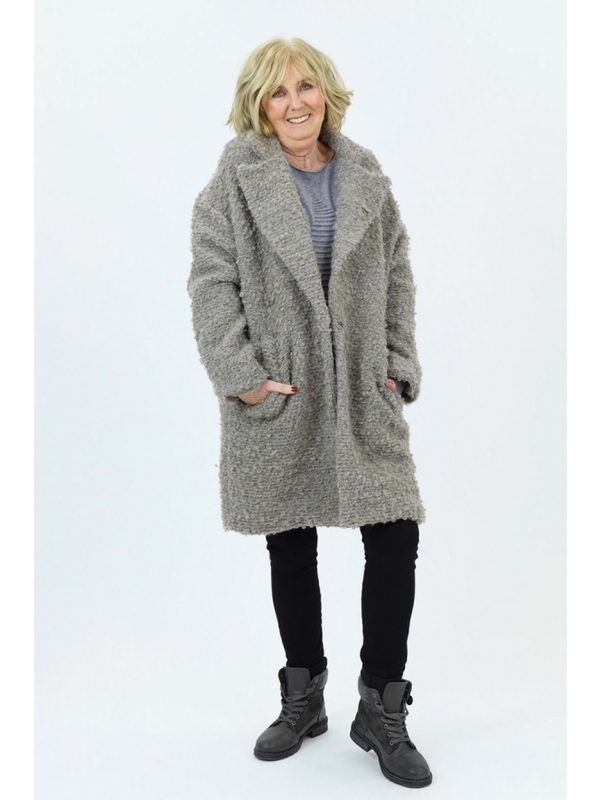 A stunning new boucle style so keep you cosy and stylish all season long. 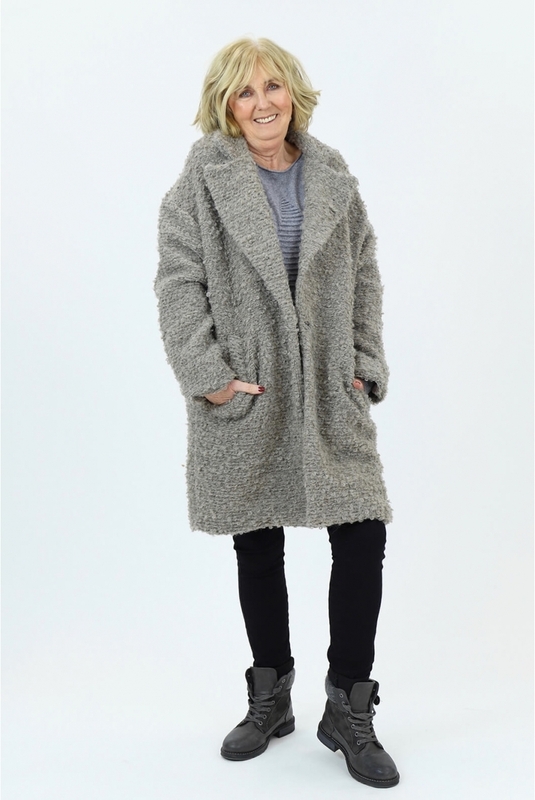 The Made in Italy Giggleswick Boucle Coat features a classic statement collar with two pockets and a popper fastening. Wear this style open with a chunky scarf or fasten for a sharp look, the choice is all yours! I was seriously tempted to this in the new year sale, but I hesitated. I kept going back to look and eventually told myself the weather would be cold for months yet, and justified another coat addition to my wardrobe. It arrived today. It is so much better than I'd hoped. It is soft and warm, and fits really well, I'm 5'8" and size 16, I chose grey, and it is bright enough while being neutral. And it's lined, I read the description and had not expected that. That was the ultimate bonus. Never again will I hesitate.